The 2014 edition of the Farnborough International Airshow kicked off on Monday morning with announcements from airframe and engine manufacturers large and small. The biennial show held just outside of London, UK has long been known as a hotbed of aircraft orders and industry announcements. So far, 2014 has proven itself not to be an exception to that rule. 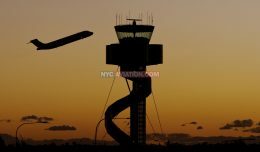 Perhaps the biggest news, although widely anticipated in recent months, was Airbus’ announcement that it will re-engine the A330 series into the A330neo. 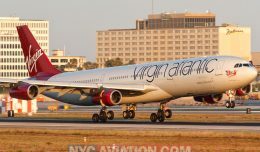 Two models dubbed the A330-800 and A330-900 will replace the A330-200 and A330-300 respectively. Entry into service is pegged at December of 2017 for the larger -900 model and early 2018 for the -800 variant. The A330neo will feature an upgraded wing and new, larger engines. The wings will be roughly 12 feet wider that the current A330 wing. Much of that increased wingspan will come from a pair of curved winglets inspired by the A350 XWB. The A330neo will be powered exclusively by Rolls Royce’s new Trent 7000 powerplant, a derivative of the Trent 1000 that powers the Boeing 787 and the Trent XWB that powers the A350 XWB. It will feature a 112-inch diameter fan that is 15.6 inches wider than the Trent 700 engines that currently power some A330s. The fan diameter increase will help to double the bypass ratio of the current generation Trent engines by 10:1. Steven F. Udvar-Hazy’s Air Lease Corporation (ALC) was the first company to sign a memorandum of understanding (MOU) for the A330neo with an order for 25 of an undisclosed variant. The official launch customer will be announced at a later date once firm contracts have been signed. 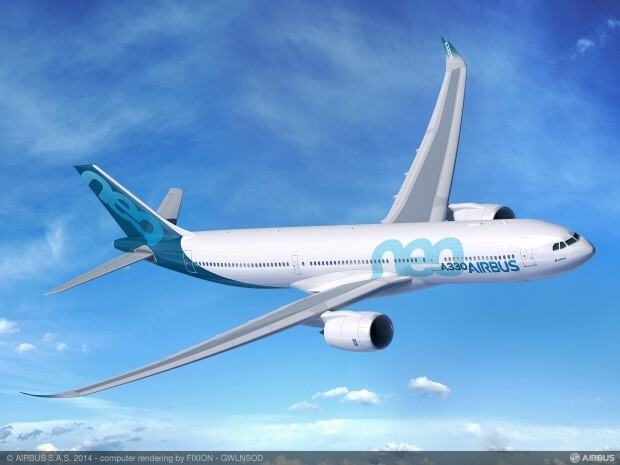 Concurrent with its A330neo order, ALC also placed a firm order for 60 A321neo narrowbodies. Also placing an order with Airbus on the first morning of the show was Amsterdam-based AerCap leasing. The leasing company firmed up an order for 50 A320neo family aircraft, bringing its total orders for the A320neo family to 200. In total, AerCap now has 945 Airbus aircraft on order, making it Airbus’ largest customer both in terms of number of aircraft and the value of those orders. This order was the first that AerCap had placed since it acquired leasing powerhouse ILFC earlier this year. Finally, International Airlines Group, parent of both British Airways, Iberia, and Vueling, announced that it had converted 20 options on A320neo family aircraft to firm orders. Those options are a portion of the 100 that were taken alongside Vueling’s order for 120 A320 family aircraft in August of 2013. 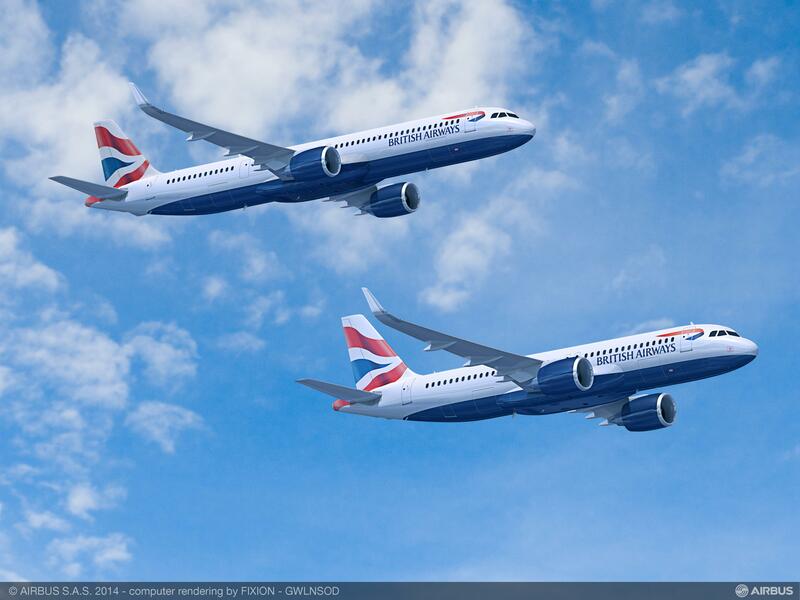 These 20 aircraft are intended to replace a portion of the 120 Airbus narrowbodies that British Airways currently operates. 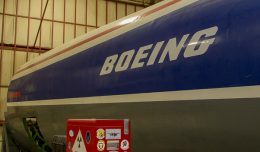 Meanwhile, Boeing announced several orders for its 737 and 787 aircraft. Starting things off was Monarch Airlines’ announcement that it has selected Boeing as the preferred bidder for its upcoming fleet replacement. The London-based airline plans to order 30 737 MAX 8 aircraft to replace its current fleet of Airbus narrowbodies. Also placing a narrowbody order with Boeing on Monday was Beijing-based Okay Airways. The Chinese carrier ordered an additional four Next Generation 737-800s, complementing the 12 of that type the airline already operates. Okay also ordered six 737 MAX 8s from Boeing, the airline’s first order of that type. In addition, Okay converted an existing order of five 737-800s to 737-900ERs. Finally, Boeing announced a commitment from Ireland-based leasing company Avolon. 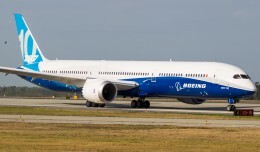 The lessor has signed a MOU for six 787-9 Dreamliners, the company’s first order for the 787. Avolon also committed to buy five 737 MAX 9 aircraft. 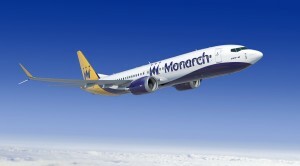 That portion of the order extends the leasing company’s 737 MAX portfolio to 20 aircraft. Canadian aircraft manufacturer Bombardier announced several orders for its C-Series aircraft. Leading the way with an order for 20 CS100s was Chinese carrier Zhejiang Loong Airlines. That order was valued at $1.28 billion USD at list prices. Bombardier also disclosed that Air Baltic was the customer that had converted three options to firm orders back in February. The Latvian airline now has 13 CS300s on order and retains options for a further seven. Also signing a letter of intent (LOI) for the C-Series was Petra Airlines of Jordan. Should that order be finalized, it would include firm orders for two of the smaller CS100 as well as two options for the larger CS300. Also ordering the CS300 was Falcon Aviation Services of Abu Dhabi. 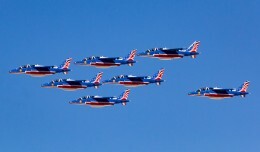 The firmed up an order for one airframe while converting an option on a second into a firm order. In the first order for the type in two years, Eastern Airlines Group of Miami, Florida signed an MOU with Mitsubishi Aircraft Corporation for as many as 40 aircraft. The order would consist of 20 firm orders as well as 20 purchase rights for the MRJ-90 aircraft. Those orders bring the total number of firm orders and options for the 86-96 seat MRJ-90 to 325. Eastern Airlines plans to begin operations later this year with the 737-800. Another significant order on the regional jet front come from Trans States Holdings. The parent company of Trans States Airlines, Compass Airlines, and GoJet Airlines placed a firm order for 50 of the Embraer E175-E2 aircraft along with a further 50 options. The E175-E2 is the smallest of next generation of Embraer’s E-Jets product line, alongside the E190-E2 and E195-E2. The new aircraft will bring Pratt & Whitney Geared Turbofan engines and a redesigned wing to the 70-100 seat regional jet market, resulting in increased efficiency and reduced noise. Trans States will equip each aircraft with 76 seats in a dual-class configuration. The first delivery of this order is expected in 2020. Rounding out the orders for Monday was Nordic Aviation Capital’s LOI for up to 75 ATR 42-600 turboprops. The letter includes 25 firm orders along with an additional 50 options for the latest version of ATR’s 50 seat turboprop. Combined with Nordic Aviation Capital’s orders for up to 125 ATR aircraft in July and October of 2013, the lessor has become ATR’s largest customer. Deliveries of these orders are expected to begin next year and continue through 2020.